There are no photos with those IDs or post 17644 does not have any attached images! 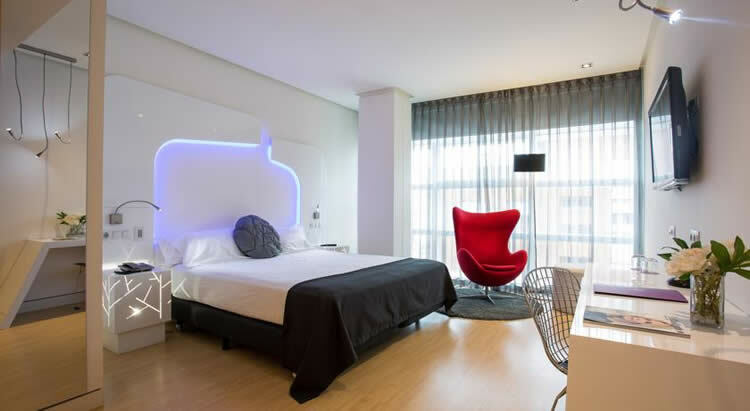 The Ayre Hotel Oviedo is located in a singular building of the city of Oviedo, is part of the Palacio de Congresos, designed by Santiago Calatrava, only 10 minutes walk separate us from the historic center. Our rooms are minimalist, are soundproof and are provided with air conditioning, they have a safe with capacity for a laptop, TV and minibar. We offer Free WIFI, gym and spa. In our facilities we offer a la carte restaurant. Reception service 24 hours and parking available for a fee.